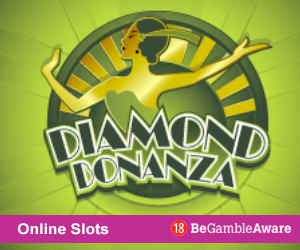 Double Bubble Slots & Bingo Sites! Double Bubble is the funtastic double the fun slot from Gamesys! Featuring 20 pay lines and a bubble bonus game, get ready to play with Bubbles for the chance to win a 20,000 x coin size top prize. Pair this popping great slot with the Daily Game 'Dubbly Bubbly' on many of the Brilliant Gamesys Casinos & Bingo Sites with Double Bubble slots for the chance to win Free Spins and Cash Prizes! With no tricky features, you will master this straightforward bubblicious slot quicker than it takes to fill a bowl with Fairy Liquid! 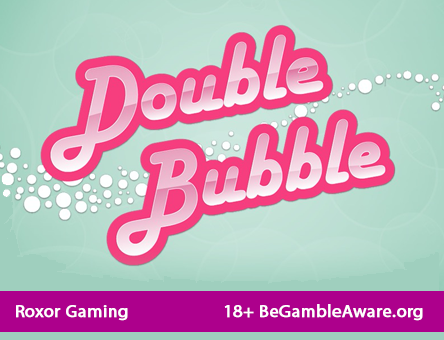 The Double Bubble is perhaps one of the most successful Gamesys slot titles to date, and extreamly popular on online and mobile websites such as Jackpotjoy and Heart Bingo. This is perhaps due to its refreshing design, easy gameplay, low stakes and high paying top prizes plus it has a Daily Free Game which adds further excitement to the game. 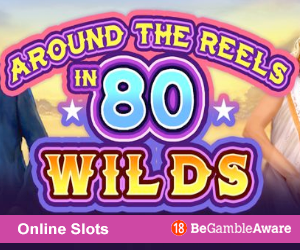 It is a simple 25-line slot game with a pretty pink and pastel soapy bubble theme, which also features standard grape, melon, orange, cherry, plum and bar symbols on the reels as well as the Double Bubble wild symbols which triggers a fun bonus game. At first glace the game may look complicated to the novice, but infact it is one of the easiest slot games to play. Choose one of the slot or bingo sites that have Double Bubble Slots operated by Gamesys, from our list above, become a member and then load up the game to begin playing. To start select your coin size and then clicking the spin button. There is no autoplay, there is not much chance of you accidently playing too many spins. Coin sizes range from 1p to 25p. Bare this in mind, because if you win, you get a multiple of your coin size. So, the more you stake, the more your winnings can be. The top prize is a brilliantly bubbly 20,000 coins - £5,000, if you have wagered the biggest coin size. You can win it by landing five Bubble symbols in a winning combo, and you’ll be cracking open a real bottle of bubbly if you get this one! At the bottom of the screen is a line of circles, this is the bubble bonus line which can potentially pay out a top prize if you match certain symbols which appear in a soap bubble. The bottom of the reels will also indicate how close you are to getting the bonus, and tells you what your winnings are. And the whole thing is so refreshing and juicy it will have you reaching for the blender to make a fruity and bubbly milkshake of your own! Land the Bubble Pop bonus for a guaranteed payout! To do this, you need to spin three Bubble bonus symbols on any pay line. These come up fairly regularly, so you should land lucky. When you do, the reels will disappear, and the screen fills up with an overflowing bath of foamy bubbles. Three beautiful big bubbles will appear, and you have to choose one to pop, then your guaranteed prize in coins is displayed. The payout at the bottom of the screen tells you how much this in real cash – remember it is multiplied by the size of your coin. 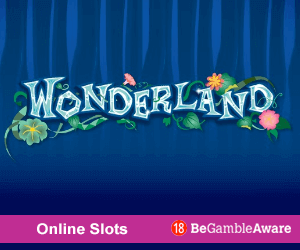 If you want to test the slot first with a Demo game, before wagering any real money, then you can play for fun at any of the Casino and bingo sites with Double Bubble slots – you will just need to register and log on first. This way you will know what to expect – but playing this popular online slot is not too tricky to understand. If you fancy some free-spins visit any of the Gamesys brands with Double Bubble Slots and head over to the daily free game called Doubly Bubbly to start collecting symbols for the chance to win cash – or free-spins on the Double Bubble slot game. This game is for funded members who have made a deposit of at least £10 since registering an account with a site with the game and have wagered £2 in the past 7 days. (T&Cs Apply). Gameplay is straightforward, play daily from Monday to Sunday, and select squares from a 10x9 grid to reveal icons based on the Double Bubble Slot game. Uncover the correct amount of symbols to win a corresponding prize. 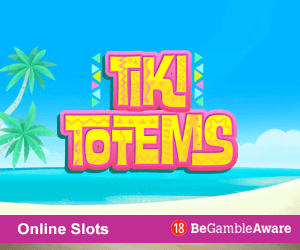 Other slot games with Daily Free Games include Tiki Island Slots (Tiki's Catch of the Day), Paper Wins Slots (Daily Paper) and Secrets of the Phoenix Slots (Search for the Phoenix). The Double Bubble game online jackpot version is also available on Gamesys gambling sites such as Jackpotjoy; it has all the same great features as the original game but with an incredible progressive jackpot which can potentially reach over £120,000 and is with through the Bubble Pop Bonus game. Double Bubble really is double the fun. By playing this slot alongside the daily free game Doubly Bubble, you have an extra chance of winning free-spins which gives even more fun! You can also play to your heart’s content; and you can win some bright and beautiful prizes, especially when you trigger the Bubble bonus round in the Jackpot.